I love the smart objects and BI tools in bisTrack. They allow us to provide real time information to make business decisions in the present not based on what happened yesterday. They also assist in our ongoing process improvement projects. The ability to create and facilitate workflow with the smart objects is a huge benefit to streamlining all of our back office processes as well as many of the operational processes as well.. I would like to see more abilities to collect data from outside sources via bisTrack cloud and more flexibility with importing/relating data from outside sources. Many, we have several work flow processes that used to require multiple emails or follow up procedures. Today they are managed with a smart object "form" to collect the process data and dashboards are used to assign and monitor the follow up and follow through. our old system was not a windows based program - you are able to move thru your daily task much easier and the dashboard - and smart-views are very helpful. i would like to be able to use this with two screens because i work with more than one module at a time. In the bank rec transaction that go to GP i would like to have labels on the entries so they are easier to find later. enable two screen usage . When coming on board with BisTrack set aside some additional support for like six months after go live. It is nice to be able to work with the program before it goes live but things happen after that you may not have anticipated. There are times you need support immediately and it would be nice to have "one rep". we are able to limit what employees can see and do - being able to use related documents saves time in research. Cash drawers are much easier to reconcile. "Mostly quick and easy...but only mostly." Most information is very easy to find. The Related Documents feature is very powerful and very useful. The Preview Pane also helps make short work of thumbing through a list of Sales Orders to see what is on them. Additionally, most everything is integrated into one nice package. No third party dispatch software or document management. We moved from Falcon/Catalyst. Certain things we could do in that package are more difficult to do in BisTrack. Contract Billing is a good example. Take your time with the transition. Get it right. Ask lots of questions. Review all of your business practices and figure out what might need to change do to BisTrack. Get this in line before go-live. The management team has a much better view to exactly what is going on in the company. Using Dashboards and Smart Views keeps management team more up to date. Dashboards have also been useful to keep our Sales staff in the loop. They can track their business quicker and easier. "The best ERP system for LMB companies"
There isn't much to dislike. Being in the IT department, the upgrade process can get troublesome, but that is to be expected for such a powerful program. If you're in the Lumber/Building Materials market and are looking for the perfect ERP system, there are none better than Bistrack to fulfill just about every need you have. From inventory to financing, ordering to logistics, sales to scheduling, it does everything we need to help the company run efficiently. Pricing options are robust and able to be made as complex as you want. Electronic attachments and notes are great for record keeping. Lag time when changing screens and inputting data is significant. Direct orders need work, they are difficult to work with throughout the process. Try it out first. make sure you comprehend the lag time that is implicit. I would not recommend this for a less that 30 users and $10mil annual revenue company. I'm better able to control user inputs and have strong financial control of all transactions easily. Inventory and document management are great. Order processing options for staging and complete shipping orders could be better (options to automatically print a pick ticket on a given day for fulfillment, or lock down an order as 'ship complete' to prevent picking if the entire order is not fillable). The reporting features have been a huge boon. BisTrack gives easy access to a variety of important business data with relatively simple implementation. Smart views and dashboards are great. Just how much is to offer with the platform that has been developed. The lay out looks a little dated. Could uses some updating making it look more modern to the newer users. Absolutely make the switch to this platform. The benefits are endless. Day to Day operations which is solving all issues. The ability to see how much is being made and how much is being lost. "Great experience. Really helped me see the depth of BisTrack and how I can use it more effectively." The round tables. Listening to the other similar companies and how they use Bistrack in their business. Some of the classes were a little stale that did not involve group discussions. Be patient and always be exploring and learning the many uses of Bistrack. Specifically training. I was able to create a training program with the help of Epicor's videos and material. I do like that the reporting utilizes Crystal Reports and SQL which allows us customization from the boxed reports we'd usually get in Falcon. Though the interface is easy for an admin to get use to it can be information overload for a new user use to Procomm but that's an easy tradeoff for what we can do with Bistrack. Delivery and Dispatch (Journey Planner) is an upgrade from previous Epicor packages and assists offsite dispatchers in combination with GPS insight fleet tracking better manage a fleet. The information changes each year. This justified the need to attend annually to management. The keynote speaker this year was better than years past. I feel like his message was possible and upbeat. Topics could be detailed better in description of what areas the classes are covering. Also a better idea of what classification the job area the topic would be covering. I.E. Accounting, Administration, Sales, ect. Enjoyed learning about the Smart Tabs and the functions. The boot camp was beneficial but could have used more topics. How everything is tied together. Being able to scan documents. Mobile apps. Some things don't work like they should when they are rolled out. Some reports aren't polished, seem more like they are in development. Efficiencies with documents. Shrinking the distance between branches--centralizing processes. "Stages of an Order Keep Us on the Same Page"
User experience is kind of raw and ugly. Essential functionality, like printing or updating the stage/status is often found by right clicking. But in all, the functionality is very robust and works great! Get everybody communicating to each other about adapting processes to BisTrack. One digital, public conversation helps us communicate so much better than many private, in-person or paper conversations. We most appreciate the The comradely and info of fellow users. Some very good instructors. A few of us got a little lost in the BI boot camp. Instructor was monotone. Inventory management and accurate costing. Since we have been using Bistrack, we have noticed that our sales team has become more efficient. Bistrack is a user friendly program allowing us to perform our jobs more efficiently. Our major complaint is the time it takes for support to respond when we have an issue we need help with. We can provide better customer service. We're more efficient. Coming from ECS Pro there are lots of things to like. It's a modern system, truly GUI. If I had to pick one thing, it would be cloud hosting. My major issue with BisTrack is the fact that you're locked out from the rest of the system when there's a popup window. More access to information for our outside sales force. "Bistrack give us the best chance to succeed." There is a lot of power in what it can do. If you know enough about SQL, you can create reports and views to get the info that you need. I believe that the training could be improved upon. It is difficult for us to train people the correct way. Learn the system before you roll. It is very powerful, but if you do not learn it ahead of time, it is very difficult to pick it up live. We have been able to create multiple dashboards/smartviews which have really sped up the decision making process. Can get bloated. As data increases the searches can get slowed down. The integration with MS Dynamics GP is OK. MS Dynamics is somewhat complicated accounting software. Receivable collections are improved, tracking customer pay history for credit is improved and helps with credit decisions. "Epicor has saved me so much time on quotes, call offs and orders"
I really like how we can accept a quote to a call off order and then do our delivery tickets from them. I also like the ease of looking up customer history and how everything can be scan and attached to the account. It saves a lot of paper work. I don't like how you can not reprint a statement with the invoices. We have worked thru the problems with statements and how to get them printed out. "Takes a while to learn the setup but it can be very useful at times." "BisTrack is an excellent ERP software solution and the BisTrack team constantly seeks to make it eve"
The business intelligence aspects of the software appealed to us. We are able to get our data out in the format we desire. What I like best about BisTrack is the visibility across the system for many different functional groups. Some of the reporting I feel should be out of the box is not. Better communication and better customer services. We just have better information at our fingertips compared to our old system. There is lots of flexibility to do what you want in the software. Data is easily accessible for custom reporting. The customer support is more than lacking. If you arent a large customer or a new customer, forget about being heard. The available partners for ISVs / Integrations are very limited. Because of the limited partners, new developments are slow to release. We are a wholesale/retailer. The software has helped us take steps in the right direction towards better product management. "Great System, great people behind this." Bistrack is a robust system, allowing more efficency at the POS, dispatch and purchasing. User permission settings seem either overly complicated or not extensive enough at times. Dispatch and delivery are smoothed right out, as is proper purchasing using the suggested ordering system. We are quite advance d in BisTrack BI. We use our internal team meets to resolve most issues. The workshop taught me a lot of unique ways to improve the performance of our business. Support can be a pain at times but has improved. "As always, I enjoy attending the conference for both the information gathering and the new friends "
While there may be a few items I do not attend, I do not dislike anything. "Support could be better sometimes it takes a long time to get help"
I like the program. Bistrack seems easier to me than what we were using before. Training you have to pay to be able to use it for all your employees. I feel we are paying enough that we should get training for free. I recommend it but I also tell them some of the drawbacks. Getting people to use different areas correctly. "Robust systems that covers most of our needs with a challenging "Go Live."" Quick Access to information from just about every screen. Kits are very difficult to manipulate the way we were trained. Contract Billing is not set up for WIP very well. Quicker access to back-up documentation via related documents. Electronic signature capture and pictures via Delivery Dispatch for delivered items and will orders. "We use this app everyday in our business." 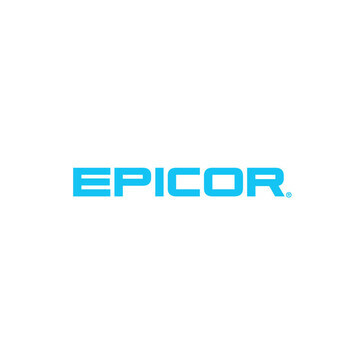 The ability to move around and retrieved orders on this site and the connection to our system to retrieve orders thru Epicor. I don't have any recommendations outside of patience. Storage, Orders, Communication and interactions with other departments. * We monitor all Epicor BisTrack reviews to prevent fraudulent reviews and keep review quality high. We do not post reviews by company employees or direct competitors. Validated reviews require the user to submit a screenshot of the product containing their user ID, in order to verify a user is an actual user of the product. Hi there! Are you looking to implement a solution like Epicor BisTrack?